this hash is crunchy and delicious. 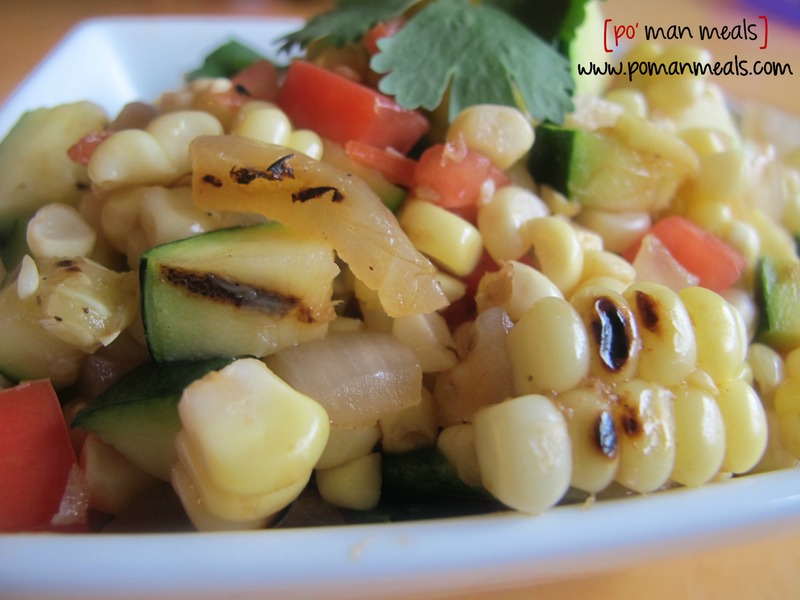 there is smoky taste from the grill, sweetness from the fresh corn and some tang from the vinegar. feel free to use a sprinkle of cumin of paprika to enhance the smokiness, however i love the natural flavor from the veggies. it is nothing like eating fresh veggies. this hash would go well over fish or chicken, served with appetizer with chips/bread or all by itself. if you do not have fresh corn, use canned. 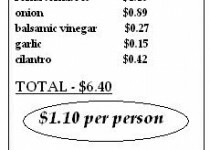 if you have a garden, these prices would be much cheaper. preheat an indoor or outdoor grill. drizzle the corn with olive oil and add the corn to the grill. season with salt/pepper to taste. rotate the corn as it cooks, for even cooking. grill until the corn is tender, about 10 minutes. drizzle the zucchini and onion slices with olive oil and add to the grill. season with salt/pepper to taste. cook until slightly tender but still has some crunch. let the items cool enough to handle. cut the corn off the cob into a bowl. chop the zucchini and onions into a dice and add to the bowl as well. fold in the fresh chopped tomatoes, balsamic vinegar, grated garlic and chopped cilantro.